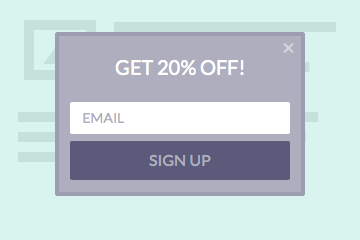 Privy is a set of tools that enables MailUp customers to grow their email lists and incentivize conversions. Free users can use the product to capture leads on their website and display mobile-friendly landing pages. Paid users can track e-commerce or in-store sales derived from every campaign. Create signup widgets, exit-intent popups and landing pages inside your website and automatically sync collected emails with your MailUp lists. No coding is required, you just need to add a widget code in your website and then you will control campaigns and results in your Privy dashboard.